Interview from the archives with Evan Fallenberg, writer, translator and director of fiction for the Shaindy Rudoff Graduate Program in Creative Writing at Bar-Ilan University near Tel Aviv. Author of the novels Light Fell and When We Danced on Water. This week's Write the Book prompt is to observe people in a public place - a restaurant, an airport, a library, a coffee shop - and make a list of people's gestures that you can later use in your work. Authentic, original gestures will enliven your work, so that your characters don't spend every scene fiddling with that same pair of reading glasses. Award-winning author Jacob Paul, whose new novel, A Song of Ilan, was published this spring by Jaded Ibis Press. Patrick Nolan, Vice President, Editor-in-Chief and Associate Publisher of Penguin Books, which is celebrating its 80th anniversary. This week’s Write The Book Prompt was suggested by my first guest, Jacob Paul, who in 2014 collaborated with friends Sarah Martin and Adam Moser to create a project titled Home for an Hour. Moser invited seven couples to each spend an hour by themselves in his apartment in Greensboro, North Carolina. The couples were encouraged to do whatever they wanted, with no one watching. Meanwhile, outside on the snowy lawn, Jacob Paul sat with his laptop, composing a fictional narrative about each of them. In one of his resulting stories, a participant meditates on the meaning of the word common; another story presents an imagined conversation between two people as they sit in the apartment, drinking a box of wine. None of the stories was revised before being collected into the Home for an Hour book. So the prompt for this week, generously offered by Jacob Paul, is to have a friend or friends go do something that you can’t watch and, in real time, while they’re doing it, write a fictional documentary account of what they might be doing. 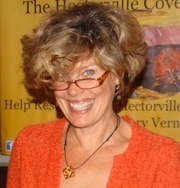 Joan Leegant, Award-winning Author of Stories and the Novel, Wherever You Go, published by Norton. Today I have two Write The Book Prompts to suggest, both of which were generously offered by my guest, Joan Leegant. First, write titles: maybe ten of them. Pick one, and start writing. Let the title you've come up with and chosen be the impetus that feeds what you write. Joan's second suggestion is to read someone else's book for an hour and then write ten first lines of your own. Pick one, and go from there. Reading another book first will put your mind into the language of fiction, and can help to feed the first lines you write.